If the latest stress-related research is accurate it appears that an impoverished present will not only lead to a quicker demise, you will look and feel older along the way. It would be safe to assume that it is common knowledge that stress associated with anxiety and depression have an impact on your overall health which in turn has a direct effect on aging. However, this latest research suggests that the stresses arising from anxiety and depression affect the aging process in a specific way. This research has focused on Telomeres. 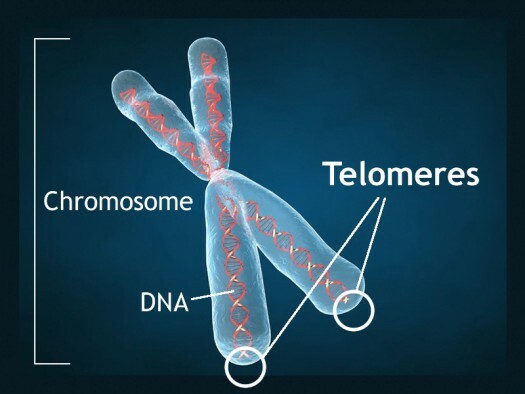 Telomeres are the protective caps at the ends of chromosomes that shorten each time a cell divides. Eventually, critically shortened telomeres trigger cellular senescence, when cells essentially get old and stop dividing. Therefore, telomere length is thought to be a biological marker of aging. This research infers that cells divide at an accelerated paced when stress from anxiety and depression increases. More stress, shorter Telomeres, accelerated aging triggered. One could assume that this would have a compound effect. As you continue to feel and look older from anxiety and depression, you worry about it more and more. Thus, ever increasing the problem. There is a solution to rapidly shortening Telomeres. That solution is to practice and establish the habit of remaining in the present moment. Work on having an abundant presence instead of an impoverished presence. When you are present, there is usually not much worry. For where does anxiety arise? It arises from the concern for an unknown future. If you are in the present, there isn’t an unknown future. There is only the present. As with most mindfulness practices, this is easier said than done. The key to any mindfulness practice, or any practice, is to establish a habit. Once a habit is set, you can form a ritual around it which will reinforce your habit and use your energy much more efficiently. These studies also highlight the mind-body relationship. The relationship between our mind and body is so intricate that certain disciplines such as Hatha Yoga, the yoga that most in our culture are familiar with, have been developed over the centuries to understand and foster that relationship. Many assume yoga is just another form of exercise, but it is much deeper than that. A good friend calls it a “mediation thru movement.” To have a healthy mind, you must have a healthy body. And you must have a healthy body to have a healthy mind. Would you agree that having a mindfulness and meditation practice would help you to relieve stress? Well then start today. Don’t wait until tomorrow or next week because you probably will not do it. You keep putting it off. If you start today your future self will thank you.